Surgical patients at Stepping Hill are benefiting from a project to help and improve their recovery and go home sooner after their operations. 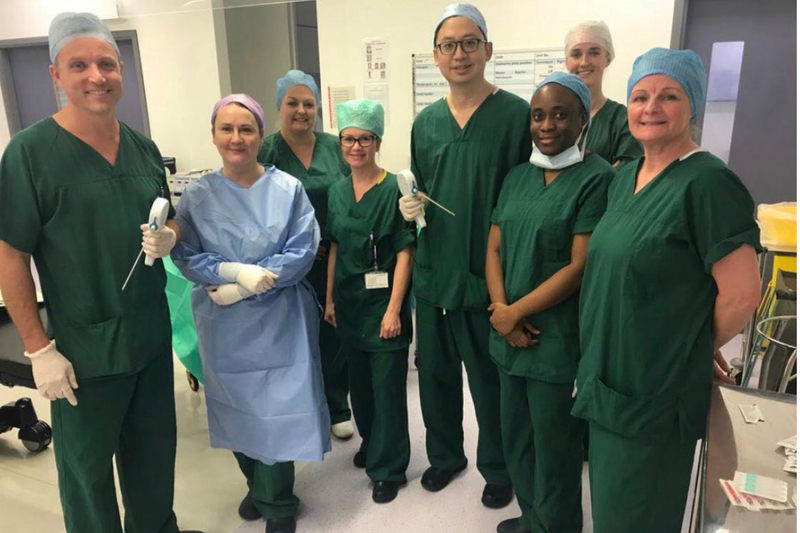 Known as ERAS + (for ‘Enhanced Recovery After Surgery’), the initiative has surgical medical, nursing and physiotherapy staff working together to ensure the patient is in the best physical shape possible both before and after major abdominal surgery. As well as encouraging more physical activity before and after their operation, the program encourages lifestyle modifications such as smoking, alcohol and nutrition advice, together with more specialised steps such as muscle strengthening, oral hygiene and breathing exercises. One patient who has benefitted is Chris Arnfield, 68 , a retired insurance underwriter from Romiley in Stockport. Chris was diagnosed with rectal cancer last June, and had to have bowel surgery to treat the condition. He took part in the programme straight after surgery, with physiotherapy and walking exercises getting him back on his feet sooner. He was back at home after nine days after surgery; prior to Eras+ the recovery time would more typically have been 12 days. Chris said: “During my stay of nine days after an eight hour operation, I was struck by the sheer professionalism, dedication beyond duty and the genuine concern for patients welfare at all levels, from the cleaners right up to the consultant surgeons. 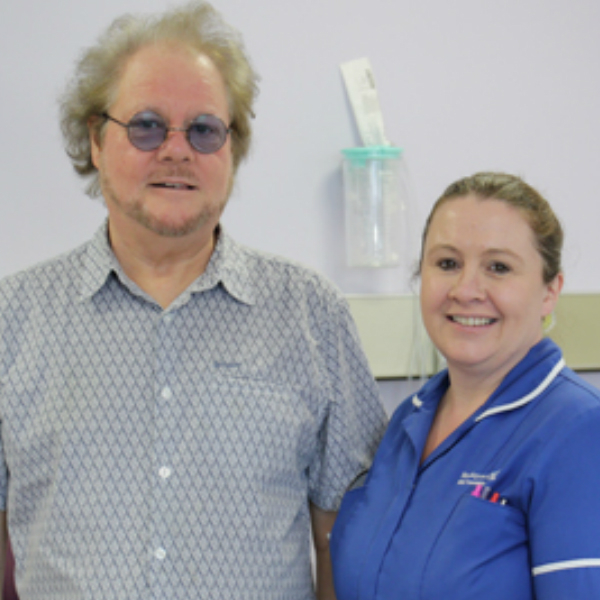 Pictured Chris Arnfield with Emma Dale, ERAS+ Specialist Nurse at Stepping Hill Hospital. Other patients are also referred for a pre and postoperative exercise program provided by local sport and fitness service Life Leisure. The initial pilot at Manchester Royal Infirmary showed surgical patients having a 50% reduction in pulmonary (chest) complications following major surgery. Emma Dale, ERAS+ Specialist Nurse at Stepping Hill Hospital, said: “This programme is proving very popular with post-surgical patients at the hospital, because they can see the really positive impact it is making on their recovery. First Stepping Hill patients have been treated using the innovative Urolift system procedure, a minimally-invasive and quick procedure for men experiencing urinary problems caused by an enlarged prostate. 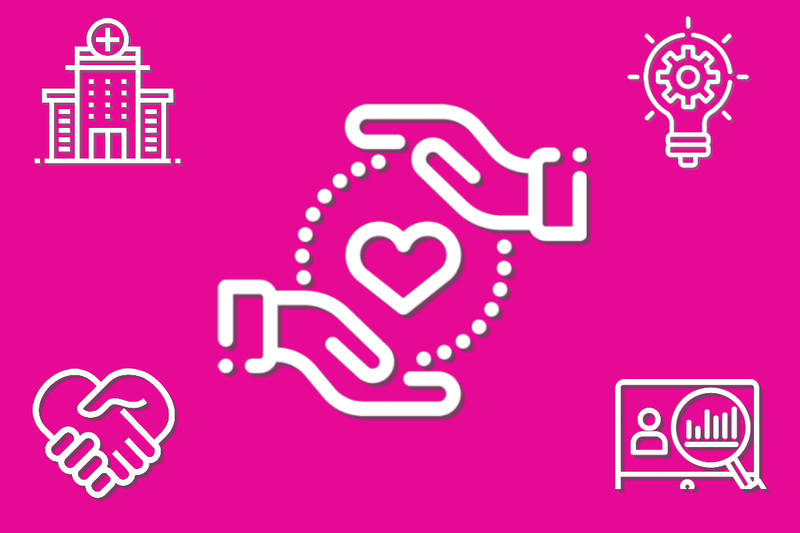 The project will use data from existing implantable devices to try and detect signs of deterioration earlier and to transform care for the patient.